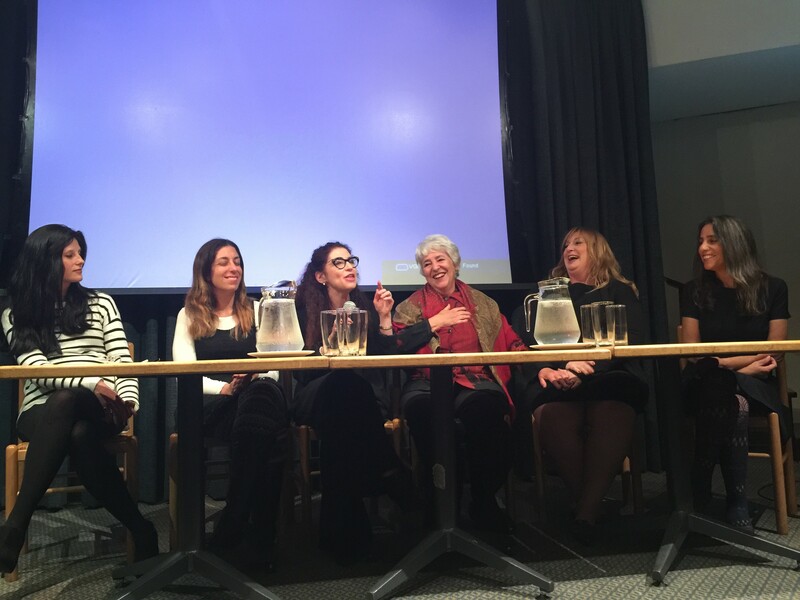 Tuesday night I was invited as a panel guest speaker at a “Wonderful Women” event, held at Great Park Shul. The objective of the event was to screen the movie “Wonderful Women” and then host a panel discussion regarding the importance of dialogue in breaking down barriers. The documentary, which was screened on Israeli national TV (Channel 1) on Tisha B’ Av last year, illustrates the complex connections between eight secular women from Mateh Yehuda and eight Haredi women from Beit Shemesh (South Africa’s partnership region). In the film these women come together to represent the meaning of “being a Jewish Woman,” and demonstrate that barriers can be broken down in almost any situation. This evening was organised by P2G, which is a Jewish Agency program connecting some 550 Jewish communities in the Diaspora with 45 Israel Partnership areas. It is dedicated to establishing bridges of understanding between Israeli and Diaspora Jewry. This was the ideal opportunity for communities abroad to become personally involved in developing Israel’s National priority areas. South Africa is partnered with the town of Beit Shemesh and the surrounding rural area of Mateh Yehuda. Our partnership helps the region deal with its changing education and welfare needs, supports the economic development and facilitates a wide range of relationship-building activities. The panel discussion comprised of four women from South Africa (Rebetizzin Estee Stern from Sydenham shul, Adina Roth, myself and Marlene Bethlehem.) From Israel we were privileged to have the producers of the movie- Hila Timor –Ashur and Gila Joffee. We discussed the subject of the connections between Secular and Haredi women and how by bringing these women together, it represents the meaning of being a Jewish Woman in South Africa. The evening was also a great opportunity to show the South African Jewish Community how these women from Israel managed their complex relationships within a diverse religious environment, and further how this can be applied to any conflict situation. These women realised that although they had some different religious beliefs, at the end of the day they actually had so much in common, that this enriched their lives, ultimately leading them to become true friends. Great project that hopefully will be established in South Africa.